Through a few employees of the CDDC Trust the CHABAHIVA Trust has initiated a number of smaller projects and ad hoc HIV interventions in the broader Cape Town area during 2016 and in 2017. These employees (the “CDDC Team”) take HIV information and/ or counselling and/ or testing where the need and opportunity have been identified. Small businesses, church groups, farm communities and schools have been served in this way. The following is an overview of interventions and activities of the CDDC Team from September 2016 till July 2017. The CDDC Team visited Kwanothemba workshop for young people with disabilities in August and early September 2016 for 9 training sessions. 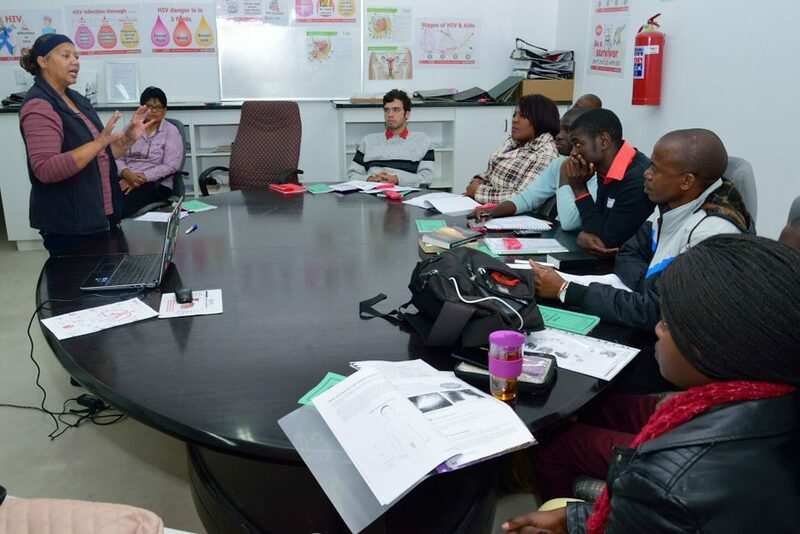 The training sessions were utilised to inform the trainees at Kwanothemba about HIV and AIDS as well as related issues. These trainings also built the capacity of young people. They were also given the opportunity to know their HIV status. Complementary to the training sessions the CDDC Team also facilitated relationships with businesses in the vicinity as well as with the nearby Presbyterian Church of Africa. Furthermore, the involvement of UWC students has also been encouraged. In this way the support structure of Kwanothemba was broadened. A similar, but scaled down project was conducted at this nursery in the district of Stellenbosch from 23 September till 13 November 2016. A total of 8 trainings were conducted. Employees were given Friday afternoons to attend the trainings without losing wages. They were also given the opportunity to know their HIV status. This was followed by the team visiting their homes to also give family member the opportunity to know their HIV status. The CDDC Team was given the opportunity to train the students of the Somerset-West Church of Christ in HIV and AIDS and related issues over 9 evening sessions between 22 May and 8 June 2017. The training was presented as a Peer Educator training and the 10 students and family members were also given the opportunity to know their HIV status with basic health screenings. The CDDC Team conducted a series of trainings at four centres of this small business that provides professional driving courses for taxi and bus drivers. Four training days in Cape Town. Three training days in Bellville. Three training days in Worcester. Four training days in Oudtshoorn. SATCOE provided travel and accommodation costs for the Oudtshoorn training. Shorter interventions and information sessions (sometimes with HCT and health screenings) were presented by the CDDC Team at a variety of situations. New Beginnings Hair Salon, Kuils River. Hilite Textiles, Bellville (HCT and health screenings for 15 people). Good Hope Tyres, Brackenfell (HCT and health screenings for 7 people). The CDDC Team visited a number of smaller farms on days when workers were off duty to inform them about HIV and related issues. Slaley Farm, Koelenhof, Stellenbosch. The farm was later revisited with HCT and health screenings for 16 people. Mesco Farm, Bottelary Road, Stellenbosch. Nuutgewek Farm, Botfontein Road, Kraaifontein. Bloemendal Farm. The farm was later revisited with HCT and health screenings for 4 people. Fishers Farm (with HCT and health screenings for 22 people). Groenhof Farm (with HCT and health screenings for 13 people). Longlands Farm, Stellenbosch (with HCT and health screenings for 14 people). Laserena Farm (with HCT and health screenings for 6 people). The Elshaddai Soup Kitchen Outreach at the Eastridge Community centre (with HCT and health screenings for 4 people). The Youth of Eastridge Church of Christ, Mitchells Plain. A Friday evening meeting at the Zion Life Ministries, Manenberg. The Youth of Light of the World Christian Ministries, Saltriver. A congregation meeting of the His Will Ministries, Eastridge Mitchell’s Plain. During a Sunday meeting at The Integrity Bible Centre. During a Sunday meeting at the Jesus Cares Ministries, Somerset West. The Jesus Christus Bediening, Weltevrede, Stellenbosch on a Sunday. Zion Life Ministries Ladies Class in Manenberg at their Sunday meeting. The Youth of URCSA Eersterivier South. Participating in the weekend camp of the New Destiny Christian Church Women’s Ministry. The Flavoured Generation Youth of the New Apostolic House International Church, Blue Downs. 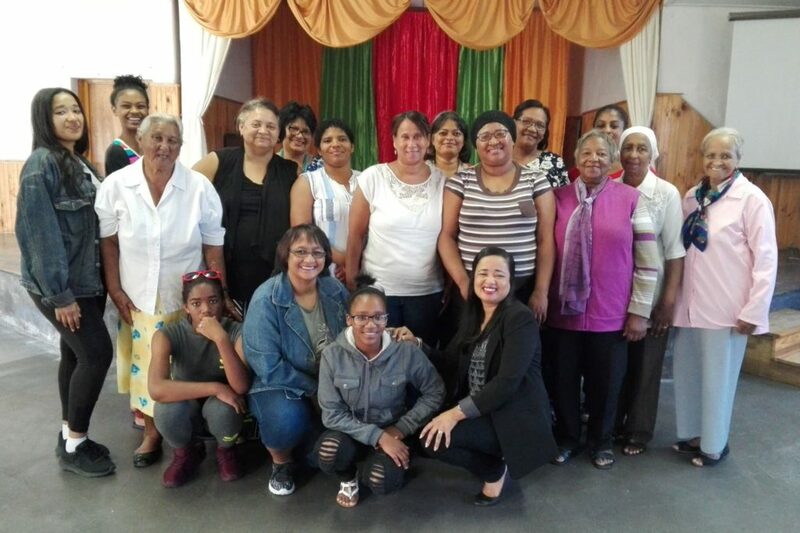 A women’s group of the Kraaifontein Church of Christ. Celebrating AIDS Candlelight Memorial Day with the Integrity Bible Centre in Goodwood. At a Family Day Outing of the URCSA Firgrove congregation. A prayer group of the Jesus Cares Ministries (with HCT and health screenings for 16 people). 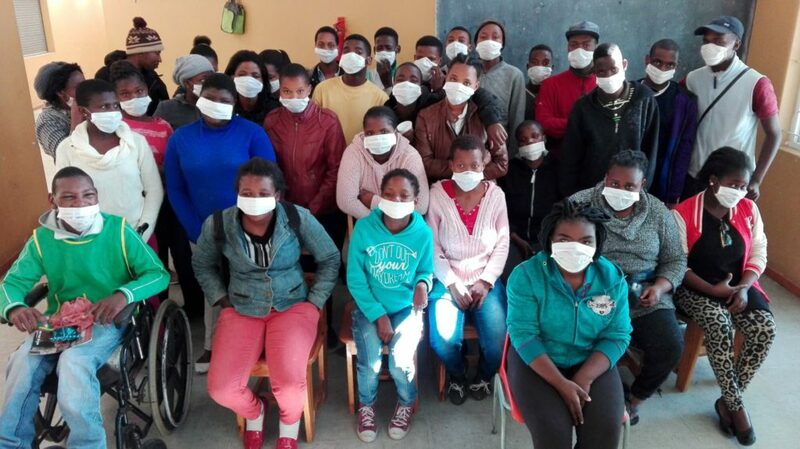 The Synagogue Pentecostal Ministries, Tafelsig – during a holiday programme for young people. 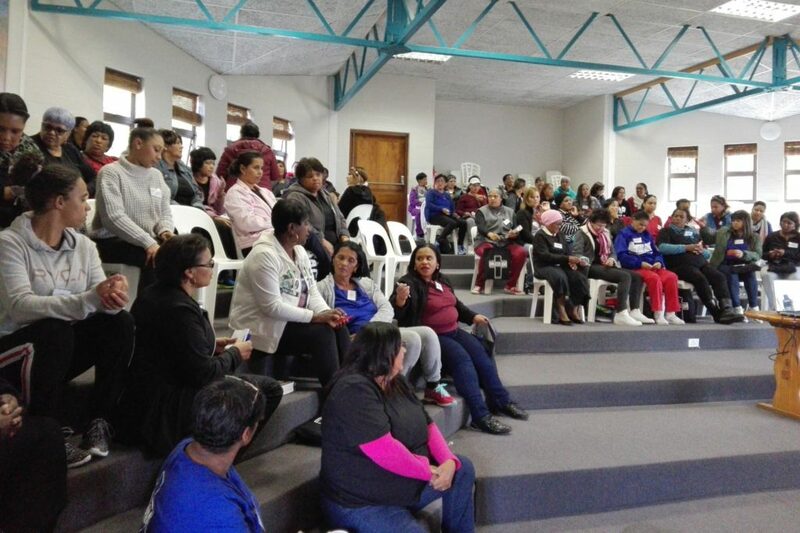 Women without Boundaries – a skills development group in Mitchell’s Plain. The Macassar Community Police Forum event for “No Violence against Women and Children”. A meeting with women at The Haven Night Shelter, Kraafontein. Informal meeting at Mrs Fredericks, Klapmuts, who invited neighbours and friends. Participating in the Health Promotion Day at Scottsdene High School organised by City Health. Participating in a World TB Day event in the Goodwood Prison. CDDC Team members reached out to inform men waiting for work along streets in Brackenfell. Participating in a Trans Verse Youth Holiday Workshop in Kraaifontein, organised by Social Development. 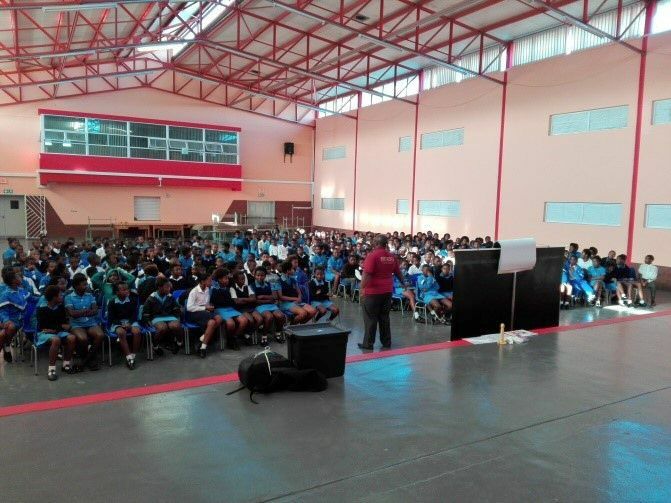 Phillipi High School – visited 3 days to inform the 690 learners. The 147 grade 7 learners of the Ekhuruleni Primary School, Bloekombos. Bloekombos High School – visited 3 days to inform the more than 1 800 grade 8 to 12 learners. Imvumelwano Primary School – Informing 230 grade 7 learners. Students at the Premier College, Athlone – informing 42 students. Blouvlei School for disabled children – visited 2 days to inform 164 learners.